Costa Rica is known worldwide for its incredible flora and fauna. In fact, it holds approximately 5% of the planet’s biodiversity, despite its land area being only 0.03% of the globe’s surface. At Café Britt, we are committed to environmental sustainability, including the protection of the unique species that call our region home. The success of our Mérito: Jaguar Blend inspired us to look for ways to support more Costa Rican wildlife. 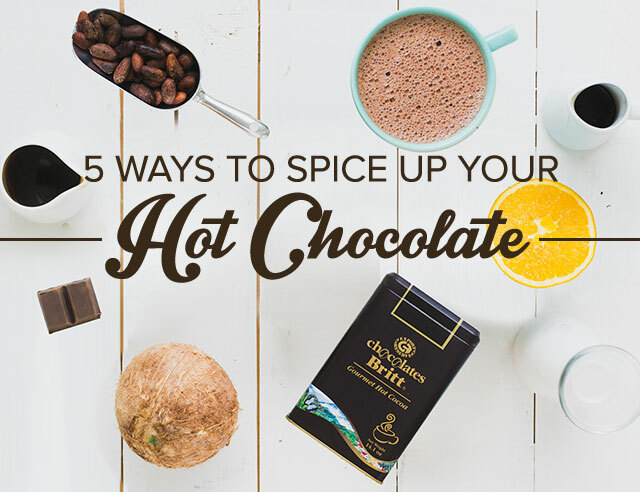 As such, we are very proud to announce a new line of coffees: Hábitat. These blends will support conservation efforts throughout the country, with focuses on specific native species. 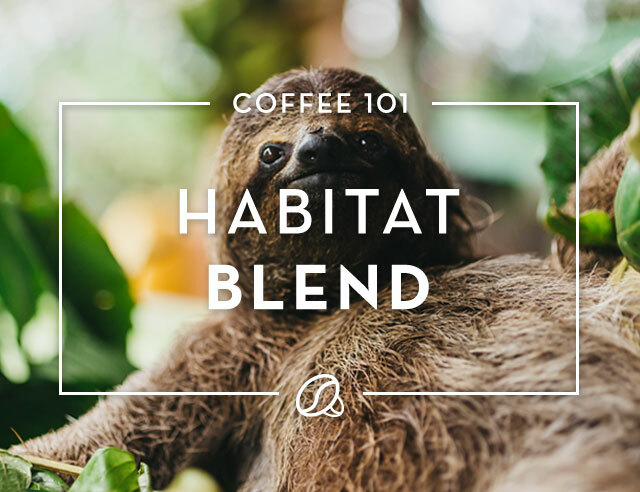 Our first blend is dedicated to the sloth, perhaps Costa Rica’s most famous resident. The coffee chosen for the blend is from Providencia and Tarrazú, two very different regions, paying homage to these animals’ large distribution area throughout Latin America. 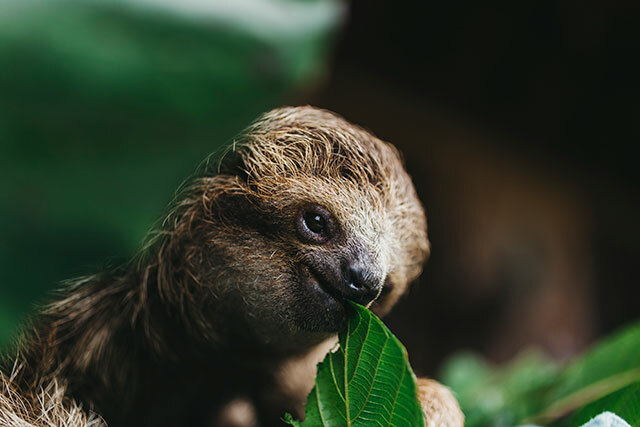 Sloths live in tropical forests in South and Central America. 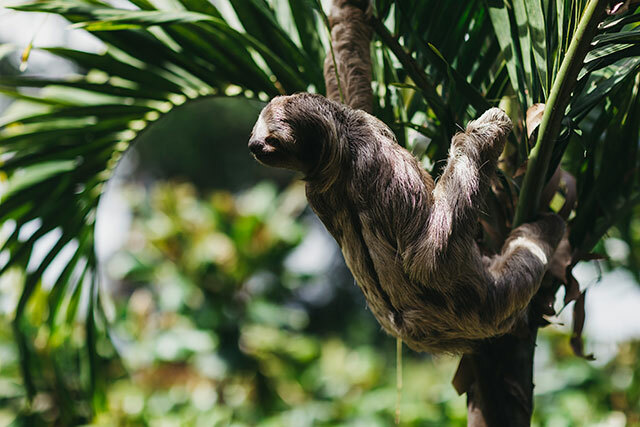 Sloth habitat includes rainforests, cloud forests, and dry forests. They can be seen throughout most of Costa Rica, and they have even been spotted in urban areas. Sloths are arboreal, meaning they live in trees. They usually come to the ground only once a week. Since they spend 90% of their time upside down, sloths’ bodies have adapted to protect their organs against the effects of gravity. Sloths are herbivores, or plant eaters. They feed on leaves, twigs, and fruit. Releasing rescued animals back into the wild requires research and monitoring in order to ensure that the animals adapt properly. 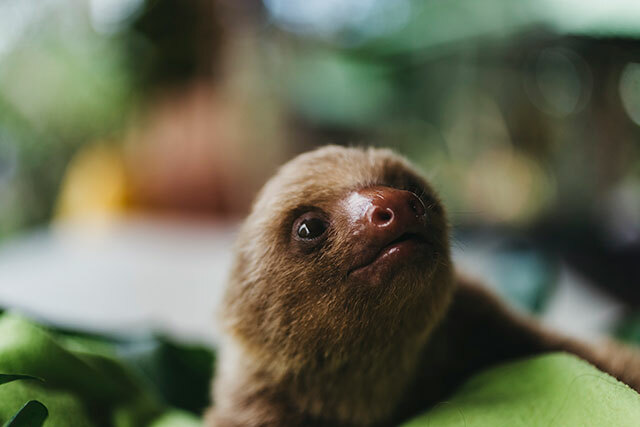 Toucan Rescue Ranch rescues both orphaned and adult sloths. All rehabilitated sloths require detailed tracking to promise a healthy release. Tracking collars and receivers will allow staff to monitor the sloths as they transition back to the wild. Britt’s contribution will purchase 10 sets of collars and 1 receiver and antenna, allowing the Toucan Rescue Ranch to expand their Release Program. 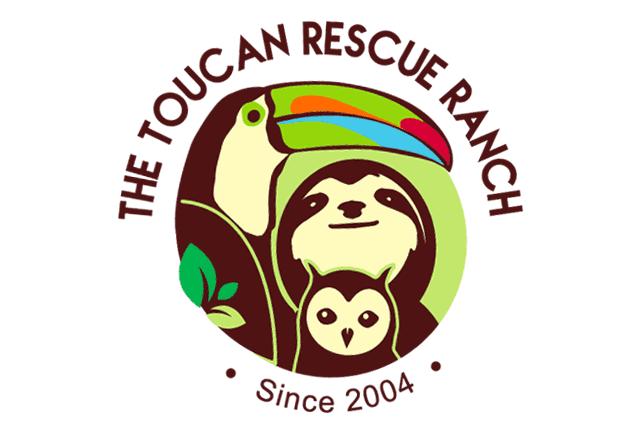 Toucan Rescue Ranch (TRR) is a Costa Rican non-profit organization that focuses on the care, rehabilitation, and study of native animals and birds such as sloths, toucans, and owls. TRR receives confiscated, sick, and injured wildlife, gives them medical treatment, and provides rehabilitation with the goal of returning them to their natural environments. We’re excited to help these rescued sloths as they make their way back to their forest homes!